Vacaville has been the site of numerous accidents over recent years. Tragically, some of these collisions have caused individuals to suffer fatal injuries. 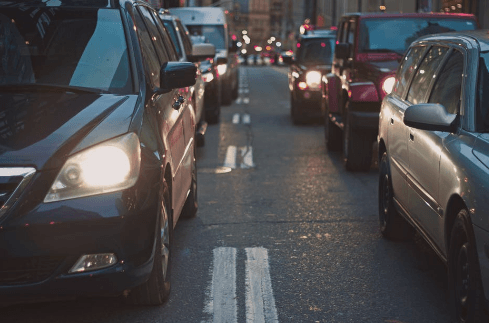 While accidents are sometimes unpredictable, knowing the statistics regarding auto accident fatalities in Vacaville can help local drivers stay safe while navigating local roadways. During the years for which UC Berkeley researchers have reported statistics, 2006 to 2016, a total of 52 fatal auto accidents occurred in Vacaville. These accidents led to the deaths of 59 victims as well as 29 additional non-fatal injuries, which included seven serious injuries, 15 non-severe visible injuries, and seven injuries indicated by a complaint of pain. Exactly one-fourth (13) of these accidents involved motorcycles, three involved bicycles, and seven involved pedestrians. A slightly higher number of accidents (27) occurred on roadways operated by the city with the rest occurring on highway operated by the state of California within city limits. Statistics have shown that the vehicle driver is the individual most often injured during these accidents, composing nearly 60 percent of injured persons. It is also worth noting that pedestrians and bicyclists were injured in 100 percent of the fatal accidents that involved either respective party. The most common type of collision that resulted in fatal injuries in Vacaville from 2006 to 2016 were accidents involving fixed-objects. These collisions accounted for about 38 percent of fatal crashes and were more common than the next most-frequent fatal collision type, rear-end accidents, by more than 17 percent. 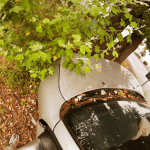 Head-on, broadside, and rollover accidents, which are known as accidents that frequently cause severe and/or fatal injuries, only accounted cumulatively for approximately 20 percent of Vacaville’s fatal accidents. The traffic violation most often listed as the primary causal accident factor in Vacaville fatality accidents was driving under the influence (DUI), which caused 15 deadly collisions. This means that DUI’s rate of intoxicant-caused vehicle fatalities is about the same as the national rate, which the National Traffic Highway Administration (NHTSA) reports to be slightly under one-third. The second and third most common fatality-causing violations were improper turning and speeding, which both accounted for about 20 percent of the overall collisions each. I’m Ed Smith, a Vacaville wrongful death lawyer. The loss of a person you love is devastating. However, an experienced attorney can help you recover financially. If someone you love has been fatally injured in an accident, please feel free to reach me anytime at (707) 564-1900 or toll-free at (800) 404-5400 for compassionate, free and friendly advice. For 36 years and counting, I’ve helped Vacaville residents with claiming the repayments that they are justly owed in cases of personal injuries and/or wrongful death. The Million Dollar Advocates Forum is comprised of trial lawyers who have won and/or settled million dollar cases for their clients. I am proudly listed as a California member. Please feel free to browse my Prior Verdicts and Settlements here.